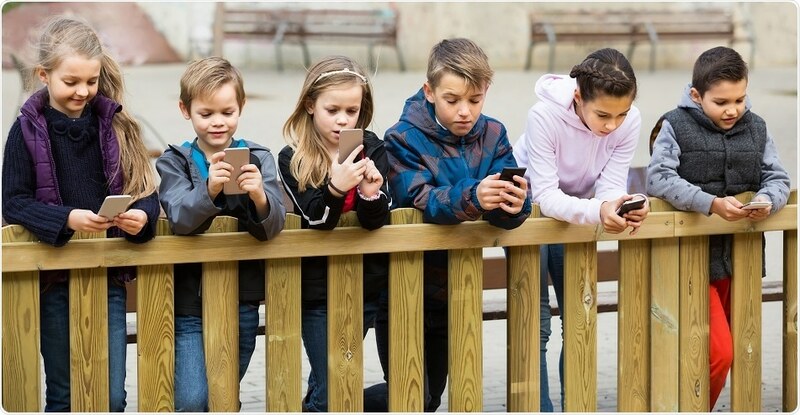 A new study presented yesterday at the annual meeting of the Radiological Society of North America (RSNA) identified an imbalance in the brain chemistry of young people who are addicted to smartphones and the internet. A recent Pew Research Center study indicated that 46% of Americans believe that they can’t live without their smartphones. Even though this is an exaggerated sentiment, the number of people becoming highly dependent on portable electronic devices like smartphones for news, information, games, and even the occasional phone call, are increasing. In addition to the growing concern that young people in particular are spending too much time on their phones rather than interacting with others, questions on the immediate effects on the brain and its possible long-term consequences are also being raised. To achieve a unique insight into the brains of teenagers who are addicted to smartphones and the Internet, a team of researchers from the Korea University in Seoul, South Korea, led by Hyung Suk Seo, M.D., used magnetic resonance spectroscopy (MRS)—a type of MRI that measures the chemical composition of the brain. The team enrolled 19 young people with a mean age of 15.5 years, who were diagnosed with smartphone or Internet addiction and 19 gender-and-aged-matched healthy controls. As a part of the study, 12 among the addicted teens were provided with nine weeks of cognitive behavioral therapy (CBT), a modified form of cognitive therapy for gaming addiction. Standardized smartphone and internet addiction tests were used to calculate the severity of internet addiction. Questions were based on the extent to which the use of Internet and smartphone impacts daily routines, social life, feelings, productivity and sleeping patterns. Dr. Seo explained that young people who were addicted had considerably higher scores in anxiety, depression, insomnia severity as well as impulsivity. "The higher the score, the more severe the addiction,"
MRS exams were performed on the addicted teenagers both prior to and following behavioral therapy, while for control patients, a single MRS study was carried out in order to measure the levels of gamma aminobutyric acid (GABA), a neurotransmitter in the brain that slows and inhibits signals, and glutamate-glutamine (Glx), a neurotransmitter that causes increases electrical excitement in neurons. Prior researches had indicated GABA to be involved in motor and vision control as well as the regulation of numerous brain functions, like anxiety. The findings of the MRS suggested that, prior to therapy, the ratio of GABA to Glx was considerably increased in the anterior cingulate cortex of smartphone- and Internet-addicted youth, when compared with the healthy controls. According to Dr. Seo, the ratios of GABA to creatine and GABA to glutamate correspond highly to clinical scales of internet and smartphone addictions, anxiety and depression. High levels of GABA can lead to several side effects, such as drowsiness and anxiety. While further research is required to understand the clinical implications of the findings, Dr. Seo feels that higher GABA in the anterior cingulate gyrus in internet and smartphone addiction might be associated with the functional loss of integration and regulation of processing in the cognitive and emotional neural network. However, the results also suggested that after CBT, GABA to Glx ratios in the addicted youth significantly reduced or normalized. The increased GABA levels and disrupted balance between GABA and glutamate in the anterior cingulate cortex may contribute to our understanding the pathophysiology of and treatment for addictions."